If your practice would like to receive updates from the network, please contact us. We provided an update on key network priorities and shared information from our pharmacy newsletter. 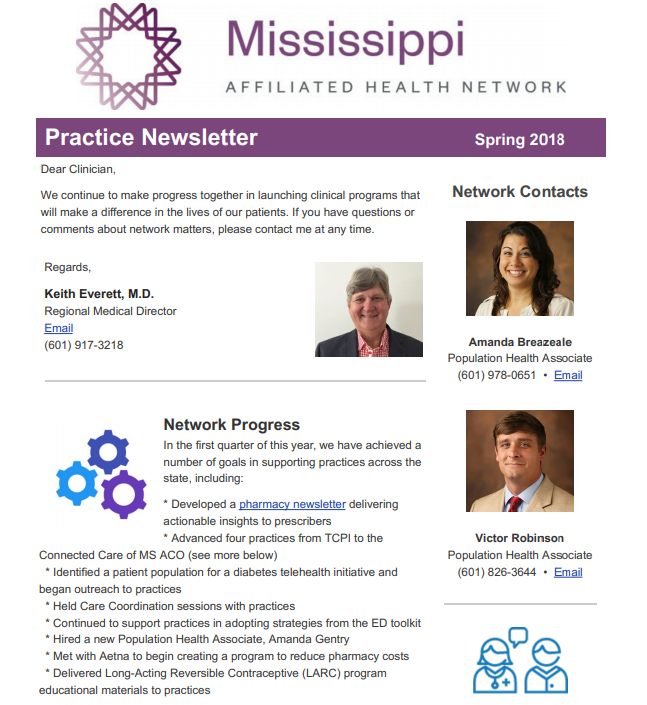 Our first network newsletter focused on clinical resources to support patients with diabetes as well as network-wide meetings with physicians.